Summer parties, get-togethers, barbeques, pool parties, and friends-dropping-by-spur-of-the-moment-parties are what warm weather is all about. And warmer weather means you better hydrate. With booze. This sangria goes down so easily. So.easily. 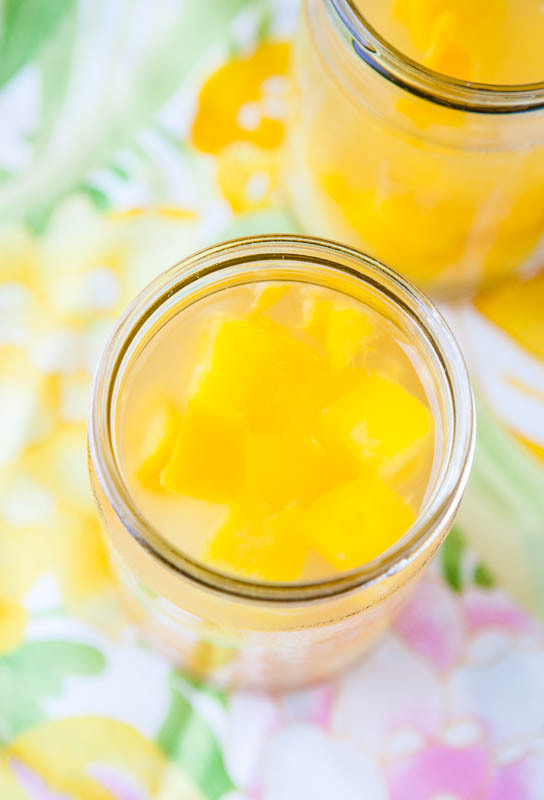 I love mangoes and pineapple and they taste especially good after they’ve marinated with peach schnapps and a bottle of wine. 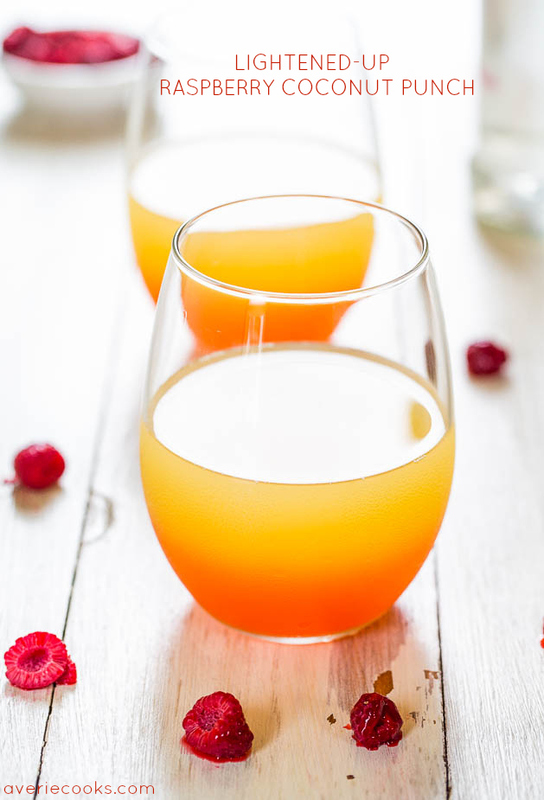 It’s a great way to stretch a bottle of wine and get some vitamin C into your diet, you know, from the chunks of fruit in each glass. Dump everything into one big bowl or pitcher, stir and wait. The longer you wait, the better, but if you’re in a hurry and can’t wait and want to enjoy immediately, I understand and that’s just fine, too. I kept this recipe on the smaller scale in case you’re having a smaller party. Or in case you’re having a party for yourself for you and one other person on a Tuesday night. It’s just one bottle of wine, not gallons worth like many sangria recipes. But you can always double, triple, etc. it. 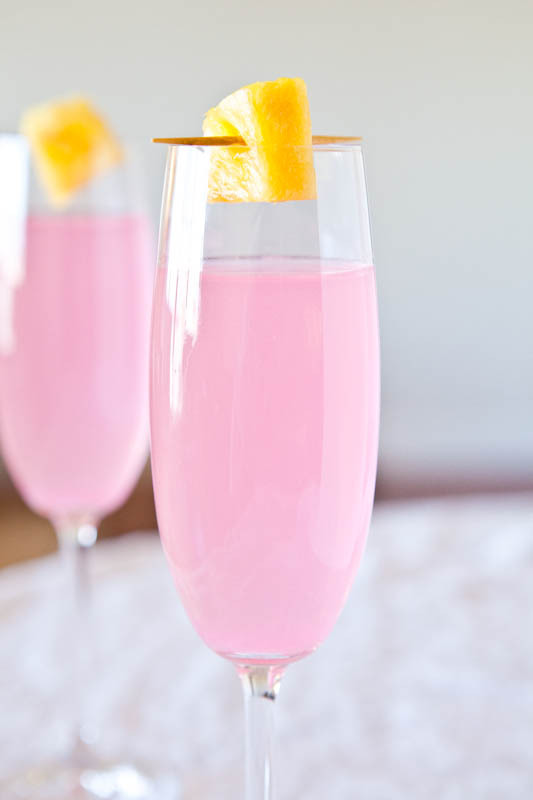 Easy peasy and so refreshing. Fresh, fruity, just sweet enough but not too sweet, and it goes down so easily. 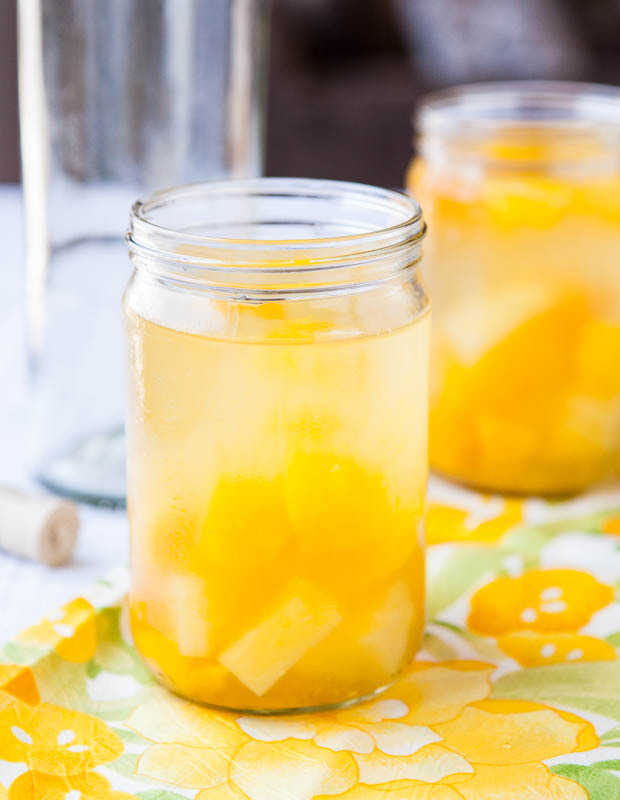 A lighter alternative to red sangria that everyone just loves! 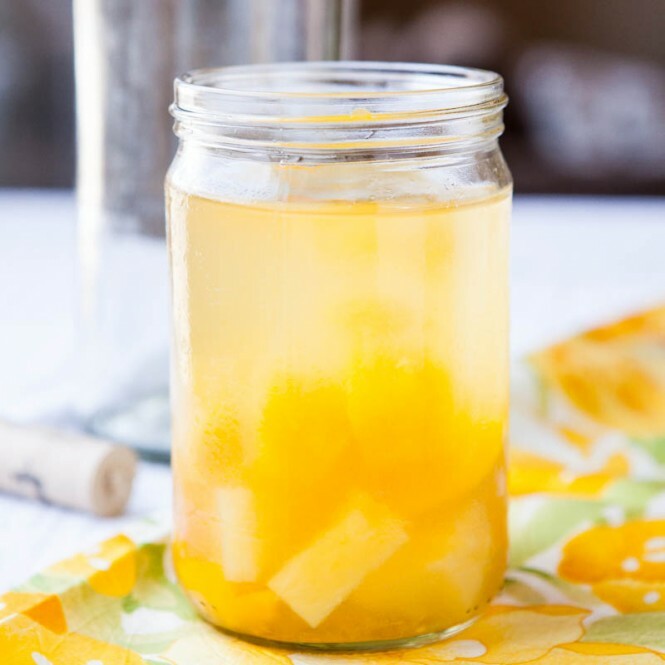 To a large pitcher or punch bowl, add all ingredients except simple syrup, stir, and taste. If you prefer the sangria slightly sweeter add the simple syrup. 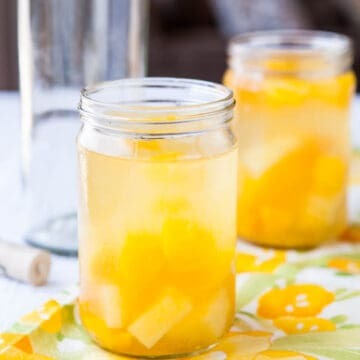 To make it, add 1/4 cup granulated sugar, 1/4 cup water to a small kettle and heat over low heat, stirring until sugar dissolves, cool slightly before adding it to the sangria. Refrigerate sangria until chilled. I have successfully stored leftover sangria in my refrigerator for up to one week; your mileage may vary. Flavors marry and mellow as time elapses. Sangria gets better 8 to 24 hours later in my opinion. You can (and should) make this a day ahead of time for a party or event if time and planning permits. 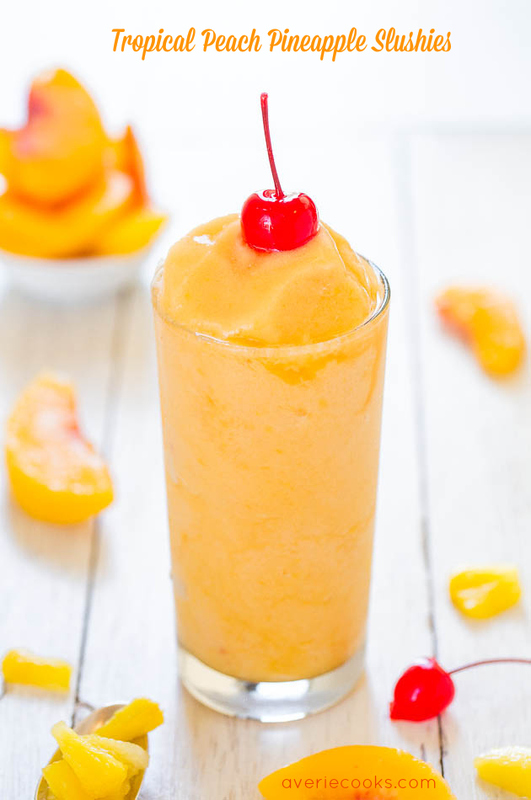 Tip – Recipe is highly flexible; use whatever frozen or fresh fruit you have on hand; berries, oranges, nectarines, peaches, etc. 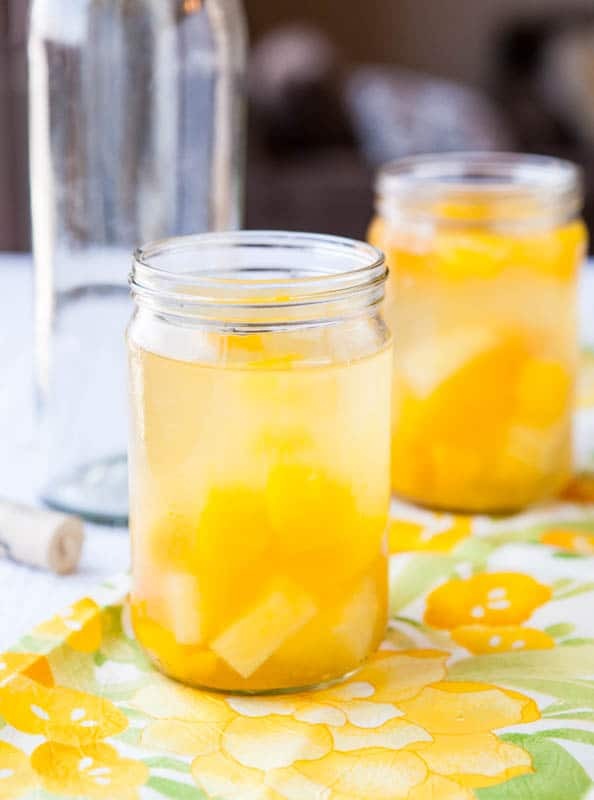 Use other liquors rather than peach schnapps such as Midori, Hyptoniq, Gran Marnier, Chambord, lemon/lime/peach flavored vodka, Malibu, etc. 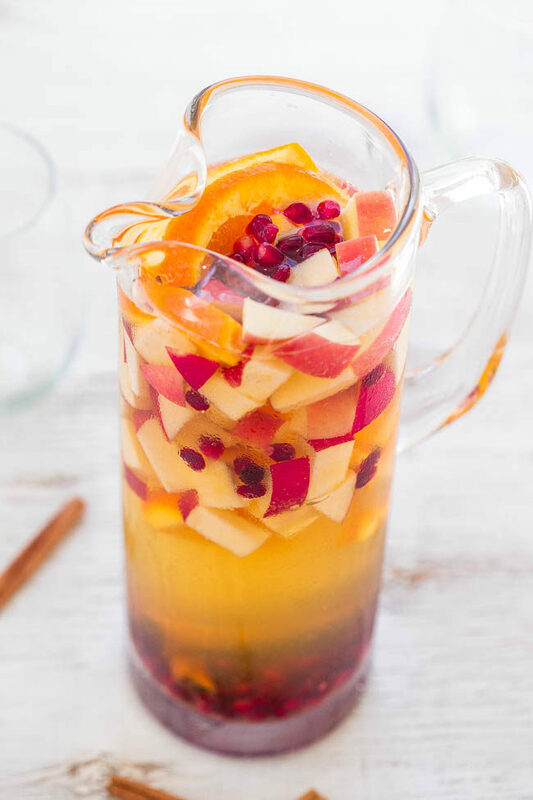 Sparkling Apple Cider Sangria – Apples, oranges, pomegranate seeds, and cinnamon sticks with sparkling cider are a fun twist on classic sangria! So easy! 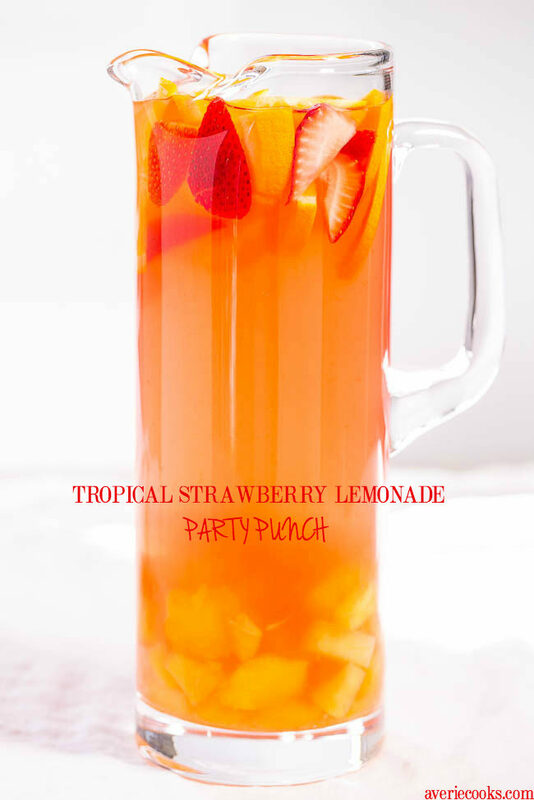 Make it for your next party and everyone will want a refill! 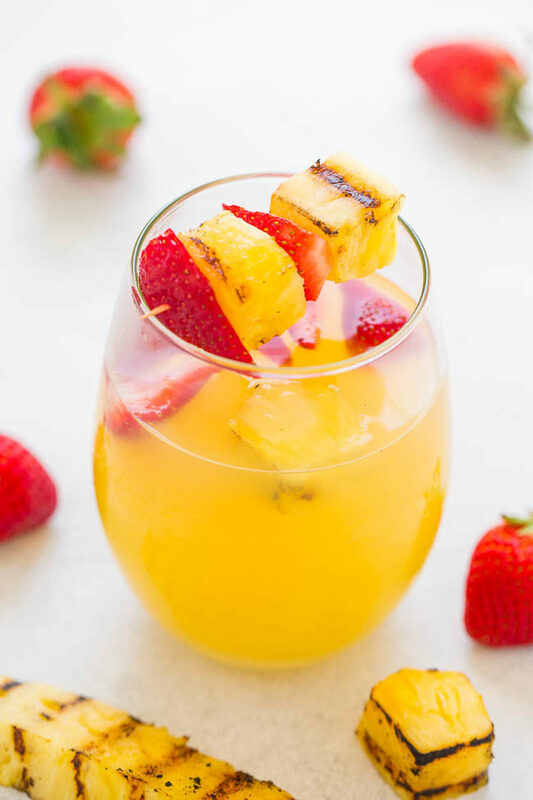 Tropical Mango Mimosas – A fun, easy, and refreshing twist on classic mimosas! 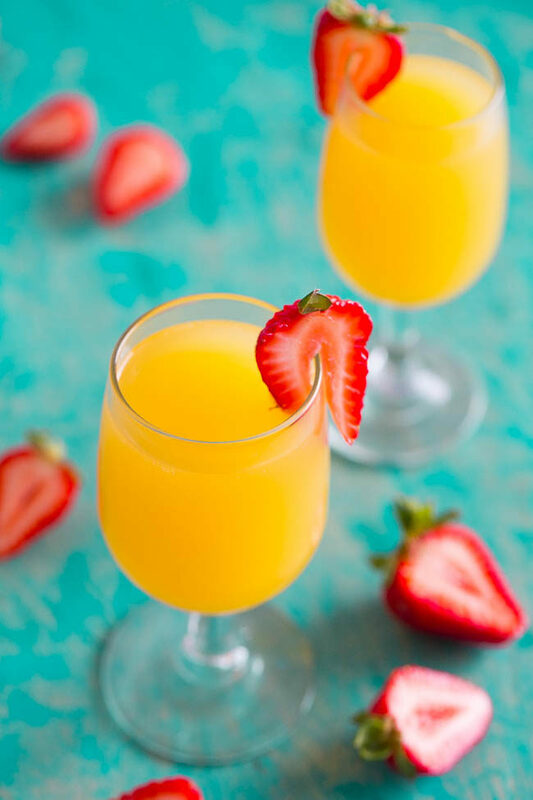 A party favorite at your next brunch or event! 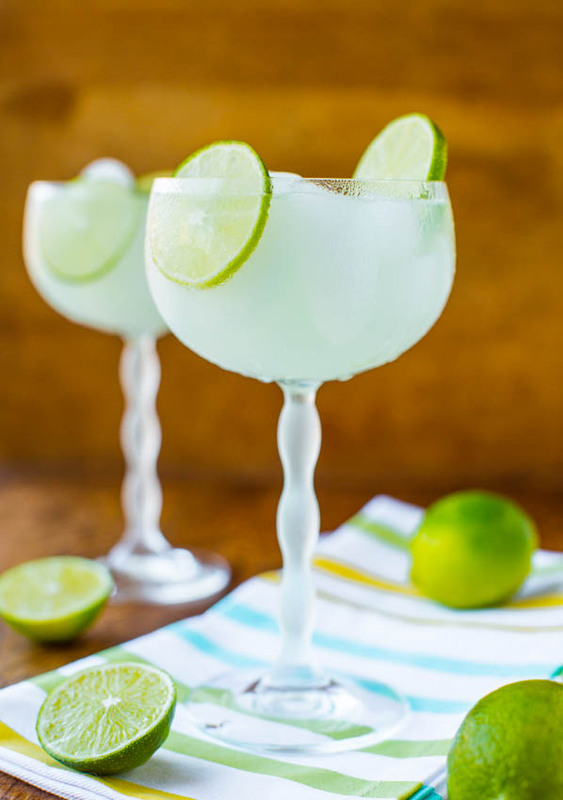 5-Calorie Raspberry Lime Margarita Fizz (non-alcoholic) – 5-Calorie Raspberry Lime Margarita Fizz (non-alcoholic) – Cool, refreshing, and won’t break your caloric bank with only 5 calories! 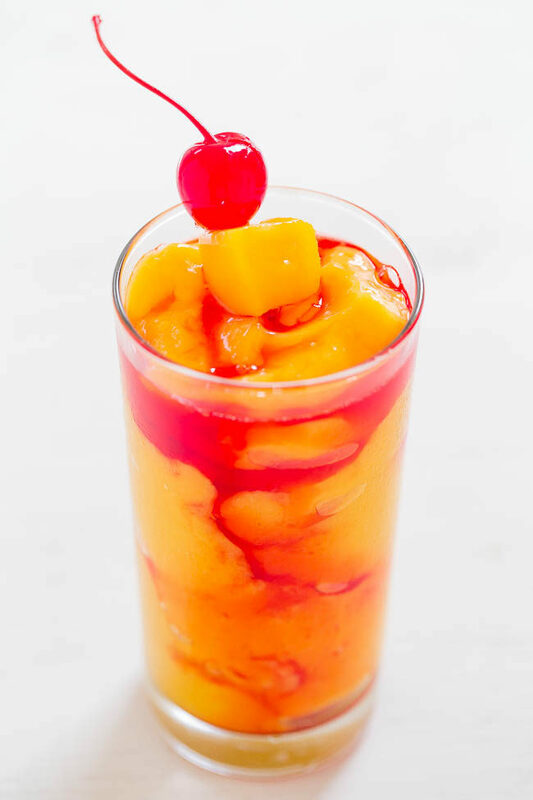 Kiss On The Lips Cocktail – Frozen mango, rum, vodka, peach schnapps, and a KISS of drizzled grenadine! Fruity, tropical, and they go down way too easily! This recipe sounds delish! However, I am confused about the amount of pineapple juice to use. 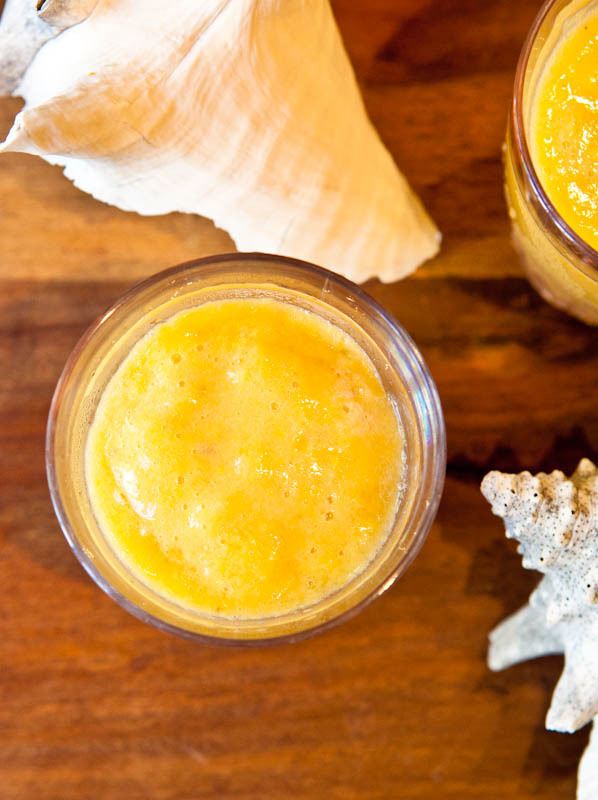 Do you use a single-serving-size can of pineapple juice? Or do you use 1/3 cup of frozen concentrate? 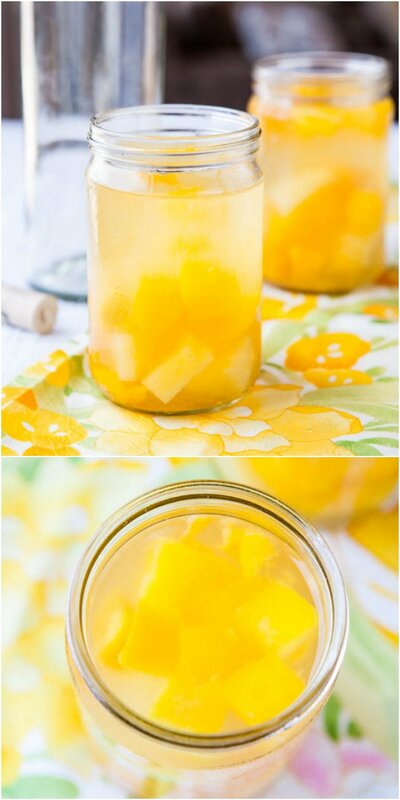 Being that I used canned pineapple in this, I used what remained in the can, about 1/3 cup. 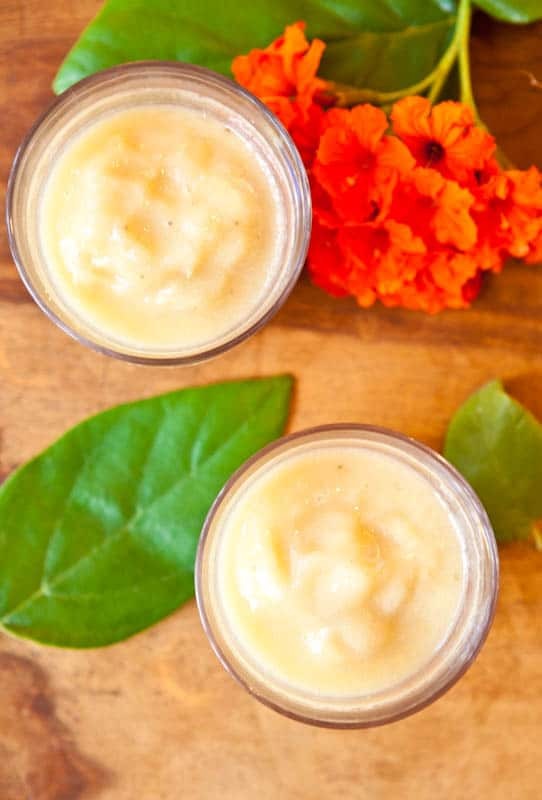 It’s a very flexible recipe but you want about 1/3 cup pineapple juice. Wait what if I’m making these in Mason jars how will the measurements work? I used the left over fruit to make alcoholic smoothies. Added some malibu and juice and ice cubes to it and blended it all together. Delicious! Out of the three wines you suggest using, which one did you use in this recipe. I’ve made it with all of them over the years…just whatever I have on hand that day. Was wondering what size bottle of wine to use? Thank you. I use a regular sized bottle. Not a jumbo or magnum sized bottle, just your average sized bottle of wine. Enjoy!